With one more Society opting for self-draw, the number of societies which have conducted self-draws so far has gone to 25. On Sunday, Shyam Society of Sector 11 has allotted its 75 flats through self-draw. 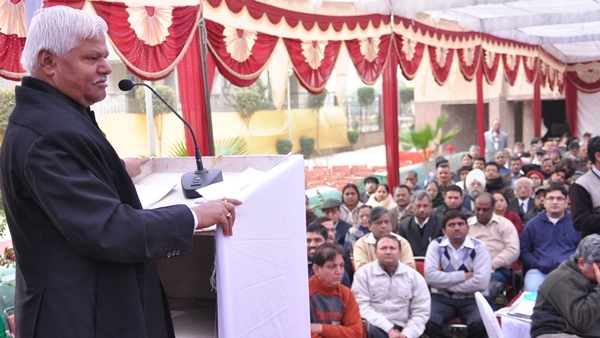 On the occasion, Mahabal Mishra, Area M.P., A.B. Bardhan, M.P. Dinesh Varshney, Gen. Secy. Delhi State CPI, Dharam Dev Solanki, MLA were also present. On the occasion, Mahabal Mishra announced that he will lead a delegation to the Chief Minister Mrs. Shiela Dikshit and the delegation will also include A B Bardhan and others. डॉ. अम्बेडकर को महापुरुष बनाने वाली महानायिका, रमाबाई अम्बेडकर !